This is mainly going from my experience of how I bought my turbo setup. I am no turbo genious or god, I am just offering advice from personal experience. If there is anything that you don't understand as far as turbocharging or anything boost related, please read my other write up, The Ultimate ECOTEC Related Turbo FAQ. Enjoy. Your turbo determines alot more than your manifold does, heck, your turbo determines what manifold you should get. By buying your turbo first, you will also know whether if you should get an external wastegate flanged manifold or not to. I learned this the hard way...I bought a manifold first with an intent of using one size turbo that was internally wastegated but found a great deal on an turbo that wasn't internally wastegated and had to purchase another manifold that had an external wastegate flange on it. Sure, I could of had someone try and fab some type of flange on the current manifold but I didn't think it was worth it. 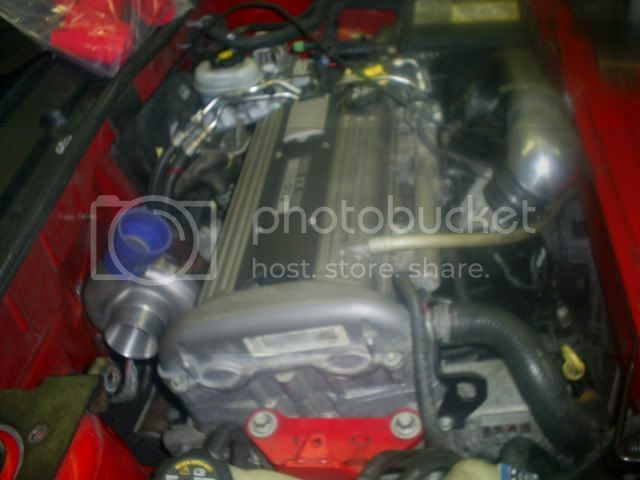 By purchasing your turbo first you will know what kind of manifold to buy also. There are many different types of turbos and different types of flanges that they use on them. You might find turbos with your standard T3 style flange or a triangular flange that Mitsubishi turbos use...this is something that is very important to know and if you don't know, you better find out. By not having the correct turbo flange to manifold flange, they won't fit. Also, with having the correct size "flange to flange", you need the correct gasket to go in between the flanges. 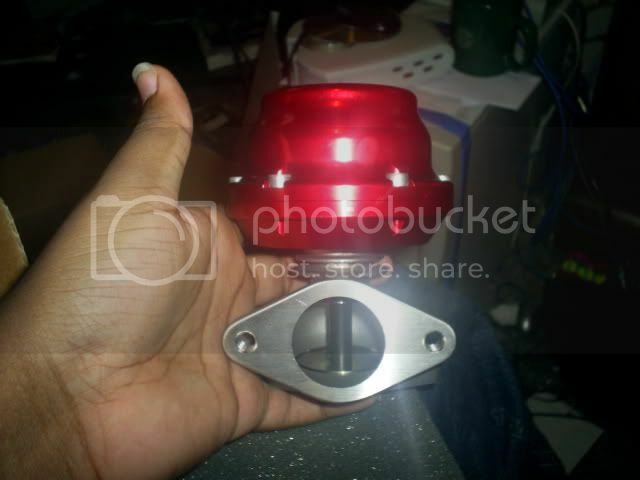 By purchasing your turbo first you will know what type of downpipe flange to get. This is also very important as well. 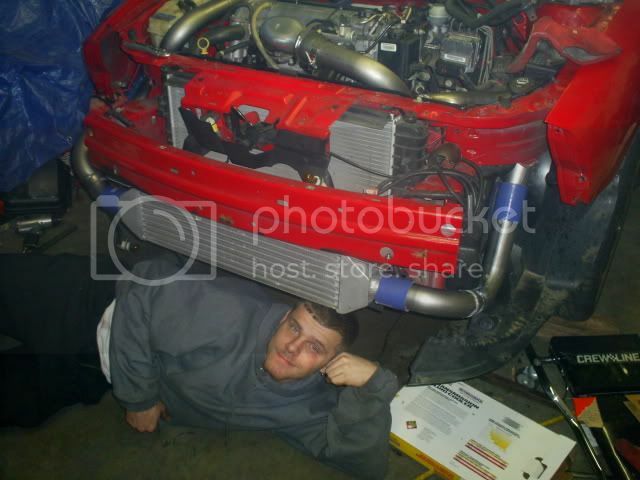 If you don't have the right size downpipe flange, you can't fit it on the turbo and you won't have anything for your downpipe to connect to. Depending on what turbo you have will depend on which flange you need... 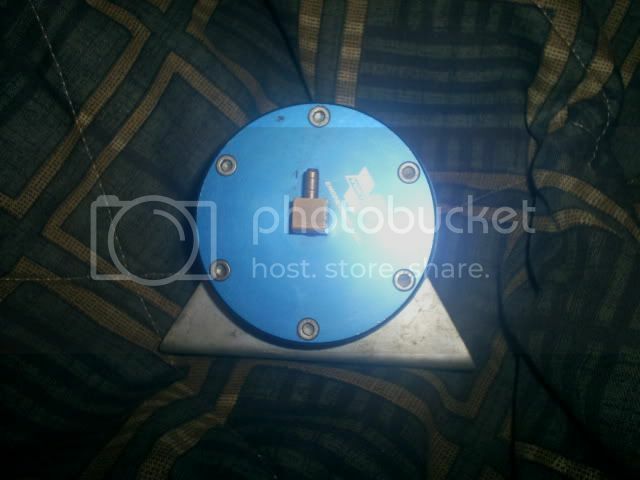 Example: I have a T3/T4 50 Trim turbo that needed a 5 bolt style flange. If you don't know what you'll need, look at the turbo on the exhaust side...this is another reason that you need to purchase first. The size and type of turbo is totally up to you and matching it correctly to your motor. Look up their compressor map and look up info on how to read them. This is the best thing I can tell you to do. Now you know the reasons why to buy the turbo first hand. Now that you've determined what type of turbo you're getting, you should know if you're turbo is internally wastegated or not. 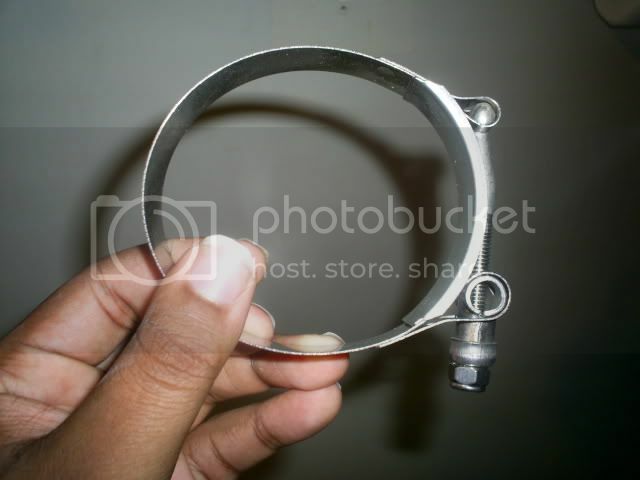 Of course, if your turbo is internally wastegated, you don't need a manifold with an external wastegate flange. If it doesn't come with an internal wastegate, you have the option of going externally wastegated or purchasing an internal wastegate package (that depends on the turbo you have though if you are even available). If you're going externally wastegated, you need a manifold that has an external wastegate flange (common sense). The style of manifold you get is up to you. More than likely, you'll find a log style manifold which is very popular to get and typical to have for a street car application. Now that you have the correct manifold, temperature will be an issue after it's installed and running. Too hot of a manifold can cause cracks in the manifold, cause higher under the hood temperatures etc. etc. You have to remember that turbocharged vehicles tend to run very high temperatures, usually around 1800+ degrees. My recommendation is to have it Jet Hot Coated. You can find more info through their website http://www.jet-hot.com and it's affordable to do. If you're going externally wastegated, you need to make sure that the flange on the manifold matches the size of the flange on the wastegate...I think the most of the manifolds are fitted with the same style flange. Most popular external wastegate to use is an Tial wastegate on our vehicles, very reputable company that makes good products. 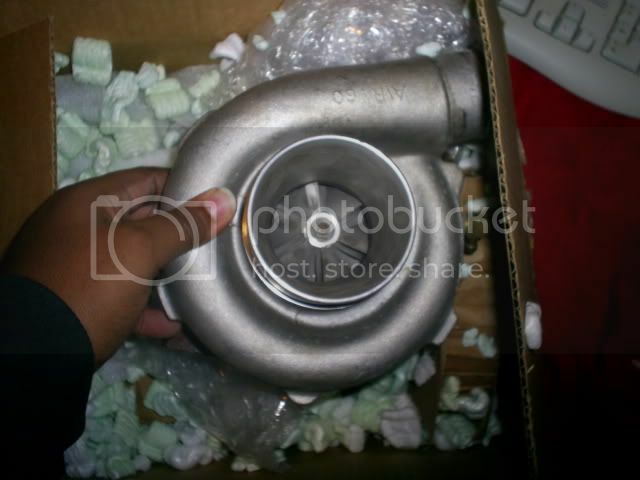 Having a good wastegate and not a cheap one is very important. If your wastegate isn't working properly, it won't divert the exhaust flow properly away from the turbine and your boost levels will climb higher than they are supposed to. The type of piping is entirely up to you and if you're having them welded or if you're going to somehow use a coupler and clamp on every end. The less couplers and clamps used, the less likely you'll experience boost leaks. You have your options of Alluminum, Stainless Steel and Mild Steel (the most popular choices). 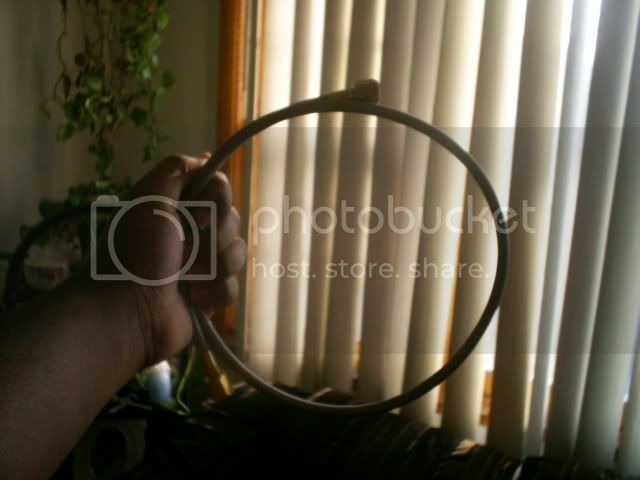 Also, the diameter you choose to go with is up to you as well, most people do stick between 2" to 2 1/2" diamter. Assuming you are going with a front mount intercooler setup, usually the size of the intercooler is determined by the amount of space in the front of your motor (right behind your front bumper). The brand you use is up to you...even generic intercoolers are fine to use. Try to keep the diameter on the ends of the intercooler the same as your intercooler piping. With the GM reflash, you need to replace your stock MAP sensor with a TMAP sensor. 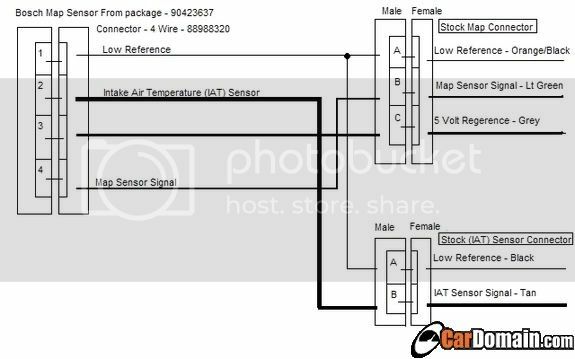 The TMAP sensor is a Temperature/Manifold Absolute Pressure sensor. Basically, you're getting rid of your IAT sensor and splicing the wiring into the new wiring that goes to the connector of your new TMAP sensor. The GM reflash will change the fuel curve, accomodate the right amount of fuel while in boost, retard ignition timing and change the duty cycle on your injectors so you can idle properly with bigger injectors. 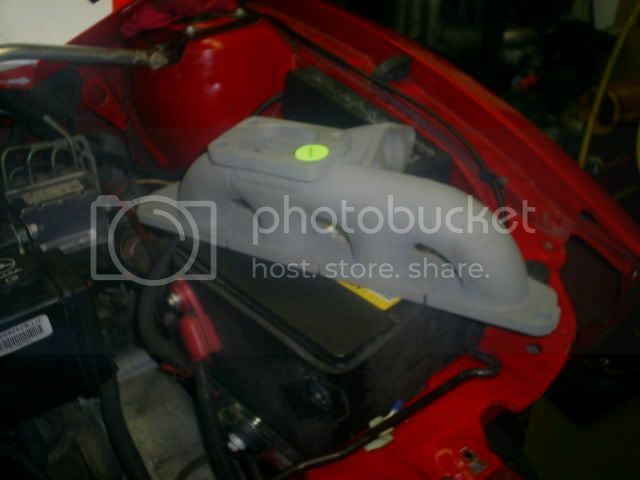 The reflash is only available for 02-05 ECOTEC equipped J-Bodies. JBP was claiming to reflash certain vehicles computers. I don't have this information so please contact them for more information (www.jbodyperformance.com). This is also up to you what you choose but it's critical to have one. With the need of supplying more fuel to the motor with the extra air being supplied during boost, you need injectors that can handle the demand. Determining your size should depend on the power goal you're aiming for. This is also something that is determined by yourself. 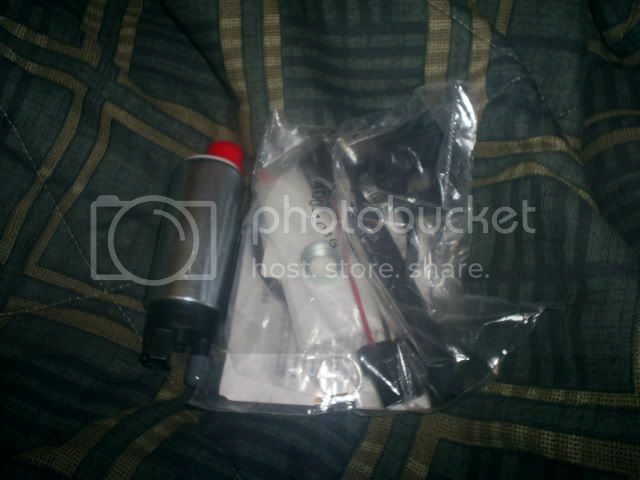 Popular injectors to use for our motors are Ford Style Injectors. They have high and low impedence injectors so make sure you watch for which one you purchase (FYI: We run high impedence injectors). Note #1: Make sure you get the clips along with the injectors...very important. Note #2: Check the Fuel Pressure Ratings for the injectors (example: 440 CC @ 50 PSI Fuel Pressure). Adjusting the fuel pressure is neccesary especially when using bigger injectors (bigger than your stock injectors) fuel pressure can become an issue. Too big of injectors without turning down the fuel pressure can lead to flooding of the motor...trust me...it's not a fun experience. My suggestion is to purchase a gauge, whether if it goes on your fuel rail or inside your cabin, to monitor the fuel pressure during boost and/or during idle. You can use an Adjustable Fuel Pressure Regulator device to do so. There are 2 adjustable fuel pressure regulators that fit right onto the 03+ Fuel rail perfectly, one is by Accel (Part#ACL74566) or you can get the Aeromotive Fuel Pressure Regulator (Part# 027-13107). Also, if you get rid of your stock FPR, you can use a Cartech FMU to adjust your base fuel pressure as well as adjust the fuel pressure ratio under boost (look up: Hahn Racecraft). Hahn Racecraft sells a piece that makes it extremely easy to remove the stock FPR and run a line off it with no hassles. You might want to get some extra rubber fuel lines & clamps as well. NOTE #1: If you have the GM Reflash, the computer turns down duty cycle on the bigger injectors so you can idle properly. Even with the reflash, adjusting base pressure is optional. NOTE #2: If you use HP Tuners, you can adjust your injector duty cycle to keep from flooding. NOTE #3: Please don't change your fuel pressure without having an Fuel Pressure guage. A fuel pump in most cases is optional and used as insurance. Now that you're using bigger injectors and demanding more fuel from your fuel system, a higher flowing fuel pump would help keep you from stressing out your stock fuel pump which is designed to send only so much fuel. You have 2 options, either get an in-tank fuel pump or an in-line fuel pump. Look up companies like Walbro and MSD for fuel pumps. 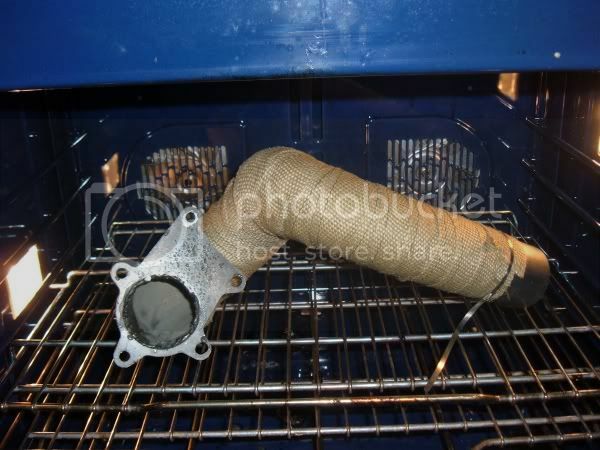 The basic job of a blow off valve is to release pressure inside your intercooler piping when your releasing throttle. Now and days, manufactuers of BOVs aim at sound as well as performance of the BOV. Look up companies like TurboXS, HKS, Tial and Greddy. You can also use blow off valves from other stock cars like 1st and 2nd generation DSMs. Most suggest braided oil lines to be used. Fittings...I'm not an expert as far as this, I would say do more research as to what fittings you need for your turbo and oil feed and return. 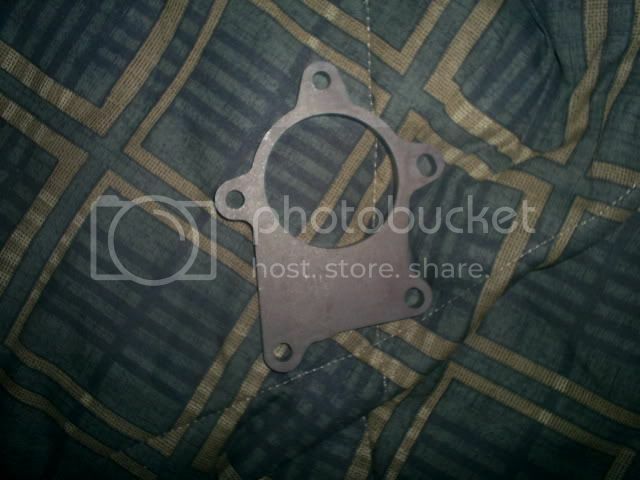 You need the gasket for between the manifold and turbo & the downpipe flange. This all depends on how much space you have as far what size you would want to get and also preference. I'd personally suggest either 2 1/2" or 3" if you have the space. As far as what type of piping, Mild Steel or Stainless will do fine. 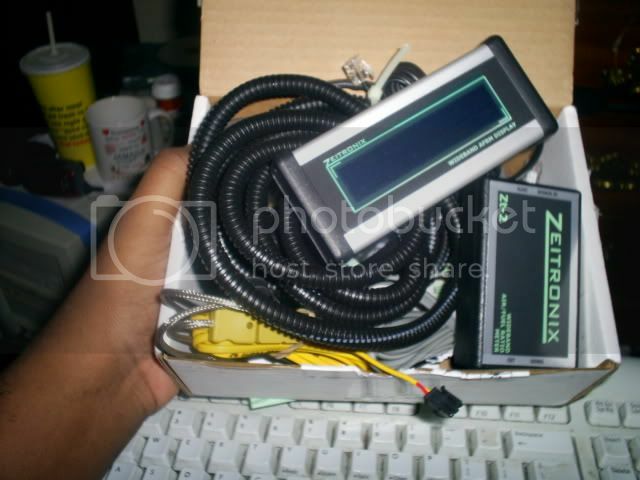 Monitoring Devices - Wideband, Boost, EGT, Fuel Pressure etc. Well rule of thumb, the more monitoring devices you get, the safer and more cautious will be. It's a great idea to know what is going on with your car real time. A Wideband will tell your a/f ratio to the "T". This is very useful to have for tuning purposes and also for monitoring sake so you know that if something was to go wrong on your fuel side that if you start to lean out you can stop and keep from detonating. You would need an oxygen sensor in order to read the a/f ratio which sometimes comes as a package deal. A Boost Gauge is good to have so you know that you're boosting properly. If you have a boost leak, you'll see you're not reaching the PSI you're supposed to (Example: Your wastegate is set at 5 PSI and you can't go pass 2 PSI at full throttle). If you are boosting pass what you're supposed to be because of type of problem with your wastegate, than your boost gauge will show you (Example: Wastegate is set at 5 PSI and you're reaching 12 PSI of boost without an boost controller installed). You need a boost sensor in order to read the boost on your boost gauge. An EGT Gauge will monitor your Exhaust Temperature and keep you aware of how hot things are running. You would need a EGT Probe in order to read your EGT. A Fuel Pressure gauge is pretty self explanitory. If you get any other monitoring device, they are for safety reasons. You can never be too safe so don't just stop with 2 or 3. I kind of touched on this earlier as far as the intercooler piping goes. I would suggest getting a nice set of Silicone Couplers. You do need a reducer coupler to connect the intercooler piping to the compressor outlet on the turbo. Basically what a reducer coupler is a coupler that on one end is 1 size in diameter and the other end is a different size in diameter (Example: I needed a 2 1/2" to 2" reducer...my intercooler piping is 2 1/2" in diamter and my compressor outlet is 2" in diameter). I would suggest T-Bolt Clamps, they can hold down your coupler properly and stronger than regular clamps will. Spend the extra money for extra strength and future prevention on boost leaks. Totally optional. If you feel that you want to boost pass what your wastegate is limiting you at, than a boost controller is what you need. 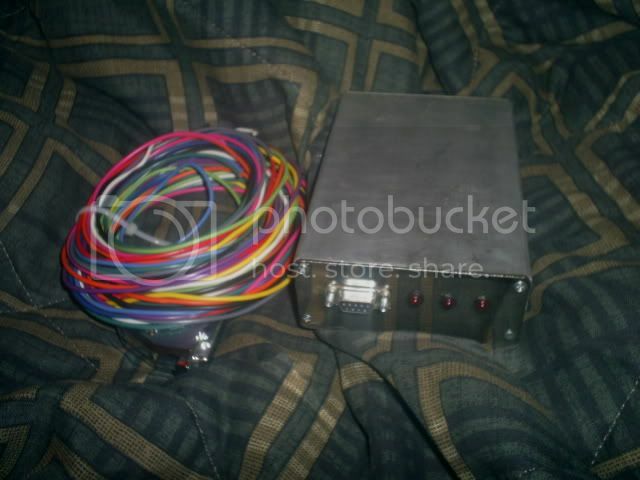 You can either invest in a manual boost controller or an electronic boost controller. There are other little things you would probably need like bolts and extra hose and clamps etc etc. This is a basic outline as to what you would need to build your own turbo kit for your vehicle. There are other optional things you can get like a Turbo Timer but I didn't list it because it's not something is 100% that you need in order to run a proper turbo vehicle. If there is anything on this How To that you don't understand, I highly suggest looking it up or asking someone. The more you know before buying a product, the better. It's important that you know what you're stepping into before you start buying random parts. Hopefully this will give you guys some insight as to what you are going to run into. Again, this is just a basic outline of what you would mroe than likely would need and what I did when I bought parts. Installation is totally up to who does it, whether it's a shop or friend or yourself. I have a habit of not cutting my nails. Plus, these are old pictures. "How to supercharge your ecotec"
Last edited by thought; 01-13-2007 at 11:06 AM. "How to supercharge your ecotech"
And why werent their more pics of adam being adam??? This is my attempt at being serious....hush yo mouf sucka! All I have to do is give you some HUNGRY MAN chicken dinner and your set. Maybe a little chocolate too. just curious... what was your total spent on supplies and parts? 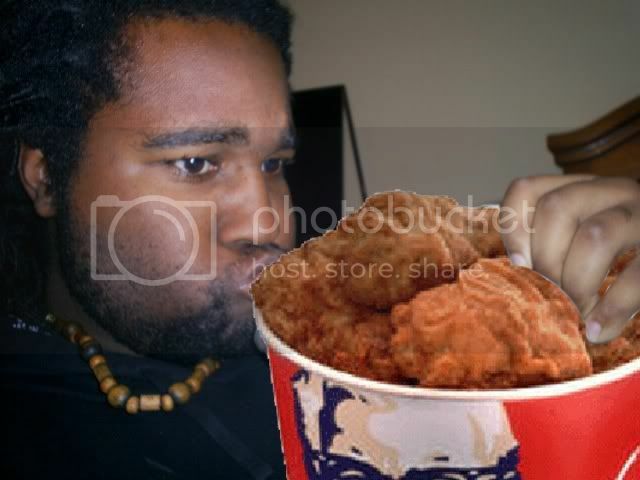 Hungry Man needs a picture of adam holding a bowl of chicken and ripping into a piece of it for their boxes. THAT WOULD SELL HUNGRY MAN DINNERS! Sorry but KFC For Life! So u figure 3,400 into it and how much hp do you think you gained. Nice right up. A lot of us have most of the stuff on our cars already. Like injectors wideband and tuning. I have a question though. Where is your first O2 sensor? Is it in the manifold?? Thanks! I ended up choosing to go with a garret t3/t04e 50 trim .48A.R. Not a GT 28. Its alot cheaper and I think more suitable for what I am looking for. 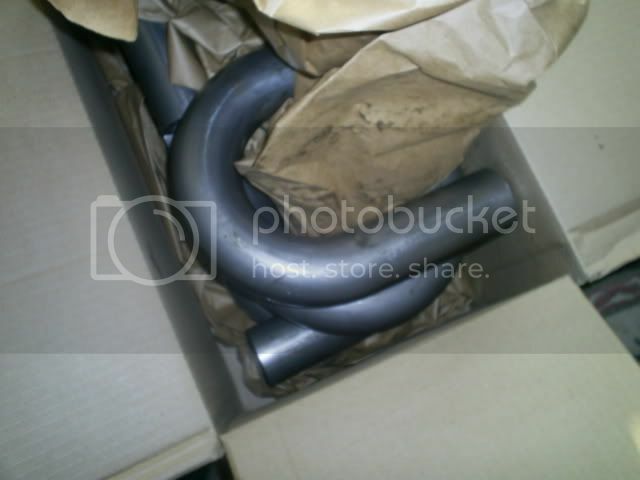 It should actually be in the b-pipe or what some people call your "downpipe"
I know it is in the exhaust manifold now. SO, I figured it would be int he exhaust manifold with the turbo but I can't remeber ever seeing that. 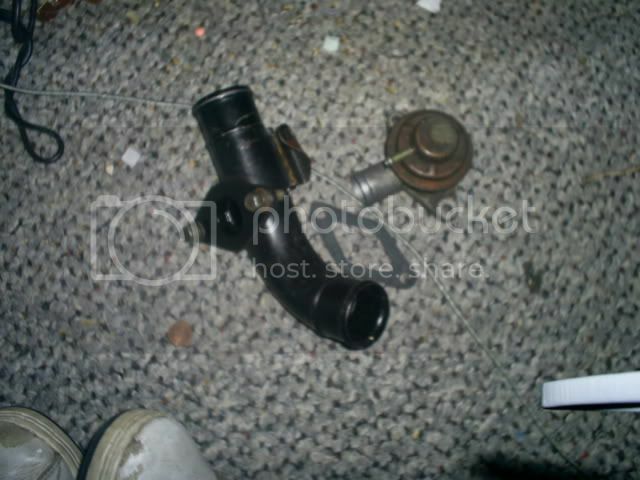 Your O2 sensor should be in your b-pipe, not your manifold...they are 2 separate pieces. 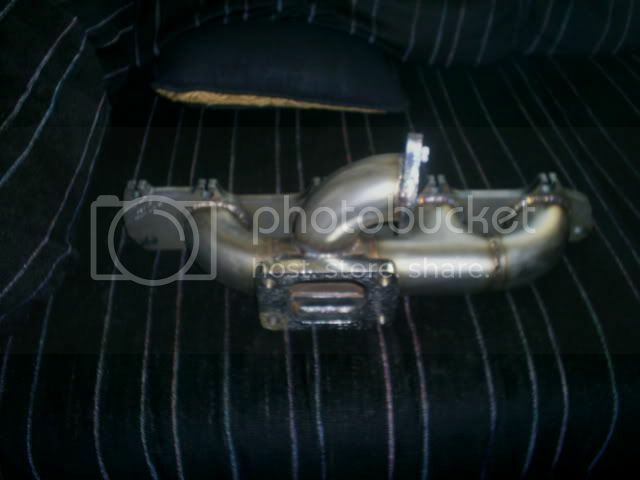 If you're talking about where you would put it on your turbo setup, you would put it on your downpipe.